At this place on the Acushnet River, a dam was first built in 1746. About 1799, William White Sr. built a stone, water-powered cotton mill, which was run by him and three of his sons. The mill was heavily damaged by a fire around 1830 and was rebuilt the following year. A second fire in 1854 ended that business. 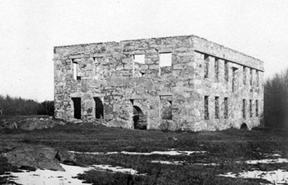 The mill was then converted to a sawmill by Samuel B. Hamlin, whose family operated it into the 20th century. 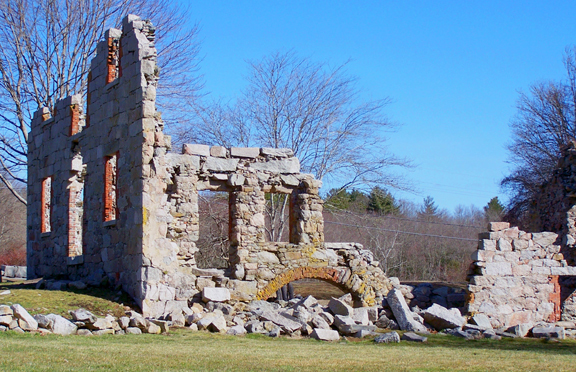 The remaining walls of the factory sit on 1.6 acres of land protected by the Fairhaven-Acushnet Land Preservation Trust. There is a small gravel parking lot.